This is basically Sooji Halwa (Indian Dessert) in which pineapple has been added to give it a tasty twist. I used Fresh PIneapple for this dish. Everone in my family love this Halwa. 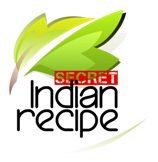 Shilpa Joshi's Secret Indian Recipe ! 1 cup Pineapple pcs or crushed pineapple. Heat ghee in heavy based pan. Now add boiled water to semolina and stir continuously. Add Sugar and mix. The mixture will again begin to loosen up. Keep stirring making sure there are no lumps. Spread on a Greased plate and garnish with cardamom powder / crushed nuts.